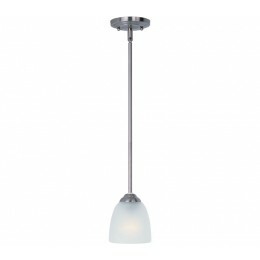 A transitional look that works in a broad range of interiors featuring metal frames finished in either Oiled Rub Bronze for the traditional home or Satin Nickel for a more contemporary look. Simple Frost glass shades compliment the overall design. The Maxim 92061FTSN Stefan collection Pendant Lighting in Satin Nickel uses Incandescent light output and brings Contemporary style. The total wattage is 60 and the voltage is 120 volts. 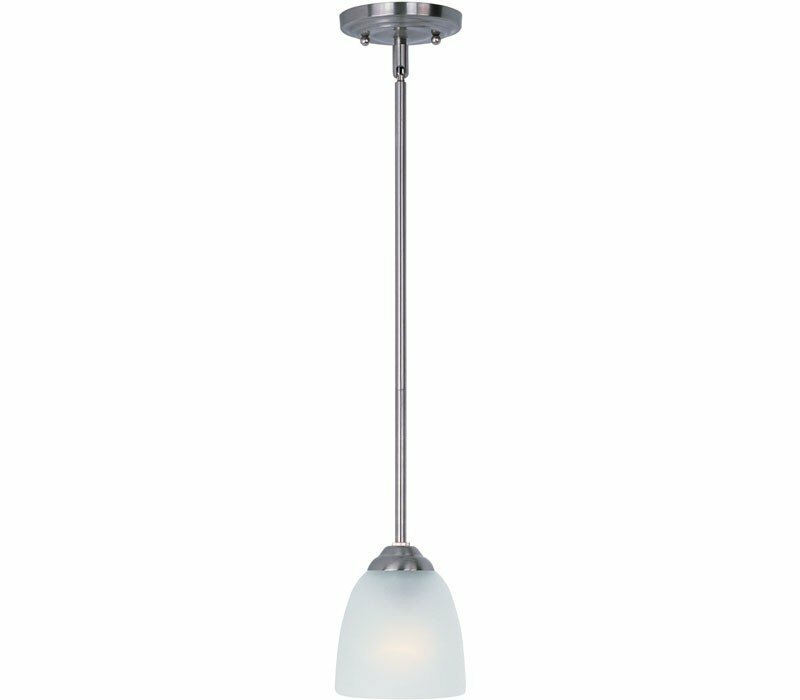 The Maxim Lighting 92061FTSN requires 1 bulb (not included). Additional Information: Shade-Frosted Glass.